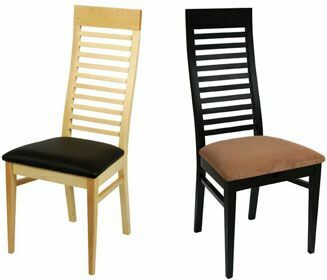 The Miami dining chair is long sleek and stylish. Perfect for high end establishments. Designed to stand out and is manufactured in a choice of fabrics or leather finishes. There is a seven to ten working day lead time with this item. 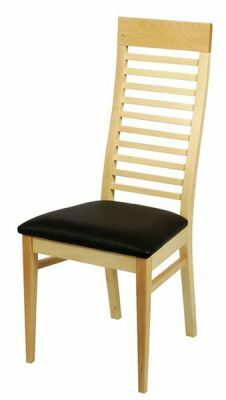 Tall back super wood frame dining chair. Manufactured to the highest standard and available with an attractive natural or dark walnut frame.